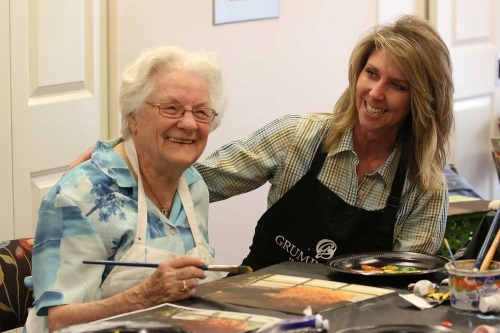 Maple Springs Memory Care entails all of the Assisted Living services but also includes a specialized Dementia/Alzheimer’s program designed to meet the individual resident where they are in the disease process. As our residents participate in an increased number of activities, they will experience greater daytime engagement, better sleep patterns and improved overall behaviors. Security, stimulus and dignity are prioritized for our residents! In unexpected and sometimes emergent situations, higher (or lower) levels of care will be available to our residents. This is intended to provide confidence and peace of mind to them and their families as it relates to both short and long term care needs.